GitHub - fscx-projects/fscx: fscx is an alternative F# compiler which enables to replace AST at compile time. 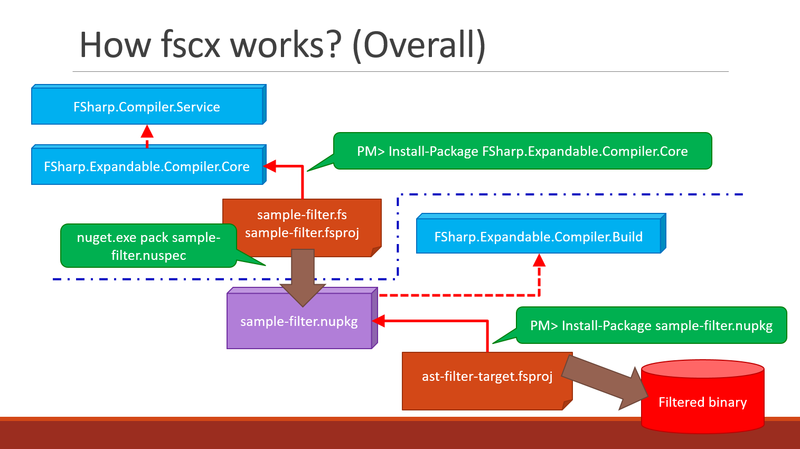 fscx is an alternative F# compiler which enables to replace AST at compile time. Want to be notified of new releases in fscx-projects/fscx? Expandable F# compiler (fscx) is an alternative F# compiler which enables to replace F#'s AST at compile time. TODO: This project is still work in progress, and need more documents. 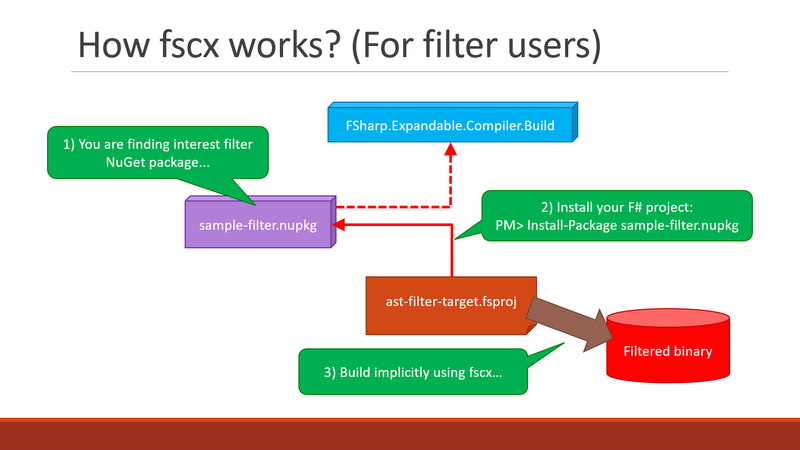 fscx can apply user defined filters at compile time. 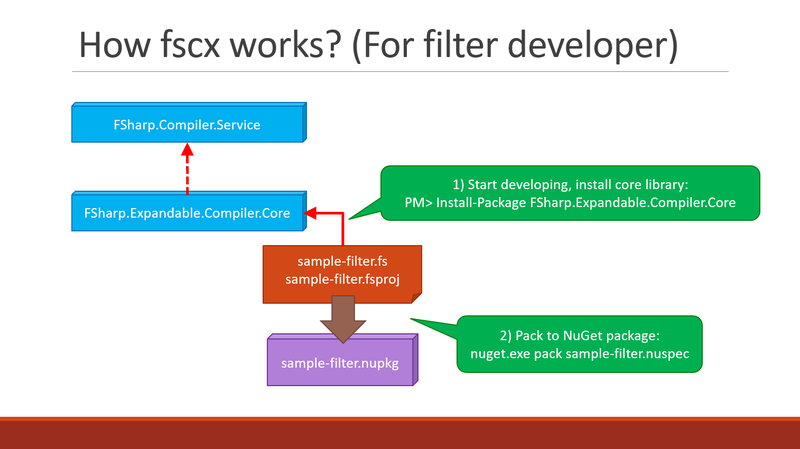 To use fscx, you need to install fscx's filter packages via NuGet. For developers who want to create filters, you need to install FSharp.Expandable.Compiler.Core via NuGet to your project, build the project to create a nupkg, and then publish the nupkg file. This post is 23th "F# Advent Calendar in English 2016"